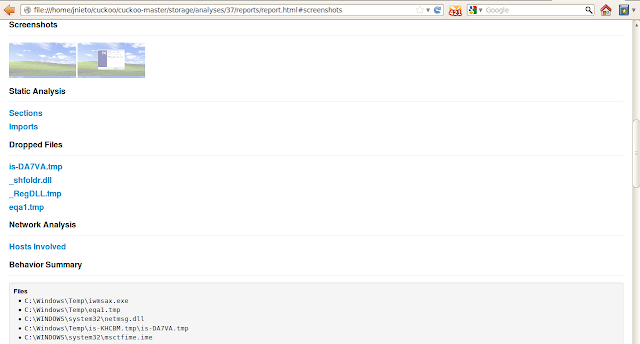 Traffic captures in Pcap format. Traces of win32 API calls. Information about processes created by the malware. Files that have been downloaded, modified or removed during the malware execution. Register keys that have been modified. Screenshots taken while the malware was running. In this post I'm going to show you how to install your own Cuckoo for the purpose of malware investigation. My computer has the following operating system. It is necessary to install SQLAlchemy for Cuckoo. Dpkt (Highly Recommended): for extracting relevant information from PCAP files. 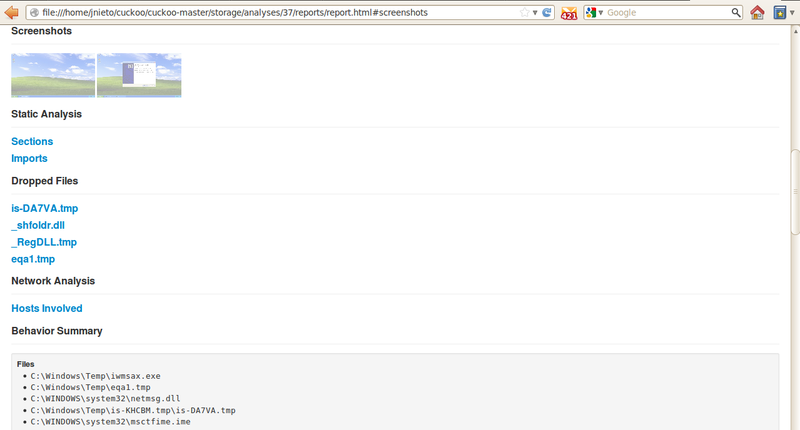 Jinja2 (Highly Recommended): for rendering the HTML reports and the web interface. Pydeep (Optional): for calculating ssdeep fuzzy hash of files. Pymongo (Optional): for storing the results in a MongoDB database. Yara and Yara Python (Optional): for matching Yara signatures (use the svn version). Libvirt (Optional): for using the KVM machine manager. Bottlepy (Optional): for using the web.py and api.py utilities. Pefile (Optional): used for static analysis of PE32 binaries. We can Install the majority of them through the Debian repositories. Now, we are going to download and install Yara. Then, we are going to install it. If you haven't installed Tcpdump yet, you need to install it. With the following commands we can run Tcpdump as a normal user instead of a root user. Currently we have all the Cuckoo's tools installed. Now we need to install Virtualbox in order to create our Windows Virtual machine where we will run the malware. Remember when you are installing the Windows operating system to disable the automatic updates and install the old software versions like Adobe Reader, Java, Flash Player. We want to have a vulnerable virtual machine. 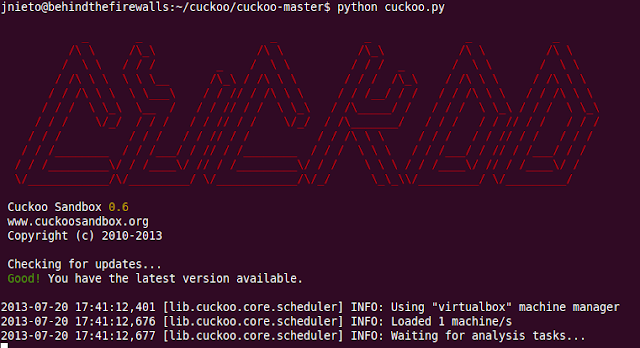 Now, we are going to create a cuckoo user with permission from the Virtualbox machines. We should download Cuckoo from the original repository. It's necesary to have the following tools installed on the Windows Virtual Machine. 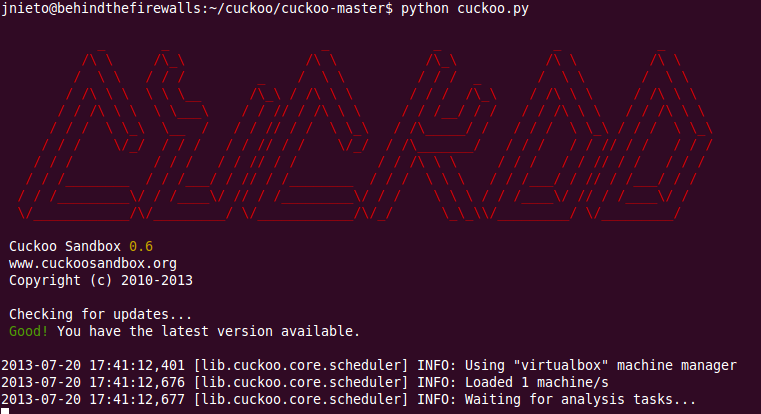 The next step is to copy the Cuckoo agent.py from the Cuckoo package to the virtual machine. Then it's necessary to excute it. If you want, you can create a key register allowing the agent to run automatically each time the computer is restarted. Now, we need to change the following settings on the Cuckoo Server. This is my configuration of the Virtual machine. This is my configuration of the cuckoo server. Configuring the Virtualbox server this way is necessary in order to get the traffic capture with tcpdump. We need to configure these network settings on the virtual machine. When you have everything ready, you need to take a screenshot of your Virtual Machine. The first time I ran Cuckoo, I had a problem that I fixed with the following command. Now we are going to play with malware files. First of all, we need to run the Cuckoo server. When the analysis is finished, we can see all these files. We can see the HTML report and view all the information about the malware. 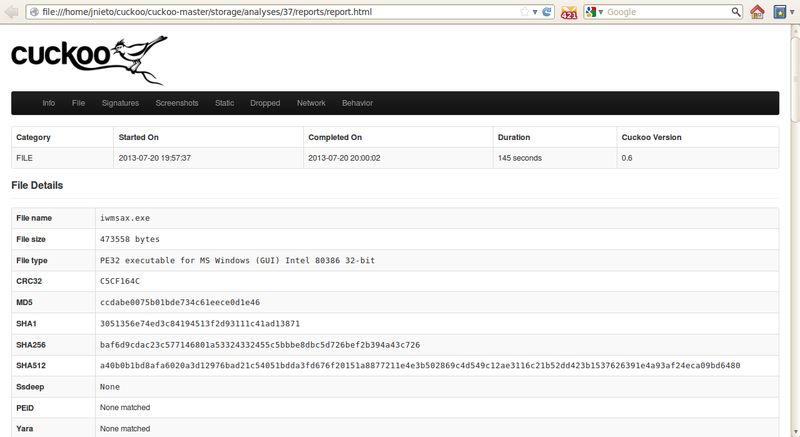 When we have finished testing the malware, we need to recover the fresh screenshot of our operating system again. We are going to use the following commands.